A good helmet is important for every young motocross rider. 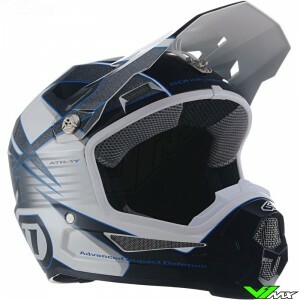 V1mx has a wide range of kids motocross helmet from well-known brands such as: 6D, Airoh, Pull-in andJust1. Check out the current range below. Motocross helmets for children have changed a lot in recent years. New technologies ensure better damping of impacts, which means children can ride with better protection. Furthermore, new design techniques and simulations on the computer also contribute to better protection and performance. The most important technical features of kids motocross helmets are shown below. A good ventilation system will contribute to a comfortable motocross helmet for children. Moreover, this ensures better performance during races. The inner lining also contributes to better comfort. Moisture-wicking fabric helps to drain sweat and soft padding ensures good fit without pressure points. The damping system protects the rider by absorbing impacts. As mentioned above, there have been many innovations in recent years. The best example is the innovative 6D ODS system. This damping system is designed to damping impacts in 6 directions. This means that both rotations and compressions are absorbed. The 6D kids motocross helmets are among the safest on the market. The motocross helmets for children can be produced from various different materials. The outer shell has a large influence on the weight. 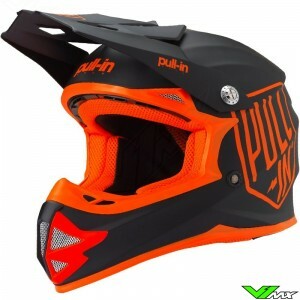 Carbon is therefore the most used material in advanced motocross helmets. This material is strong and has a very low weight. Fiberglass is another composite that is widely used. The weighs a bit more, but also offers good protection. Finally, there are kids motocross helmets made of polycarbonate. Polycarbonate helmets are often the cheapest but have less durability than a composite outer shell. It is important for children to wear the right size helmet to ensure the protective design works as intended. You can easily determine the required helmet size by measuring the circumference of your head with a measuring tape. Use a soft measuring tape, then measure the largest diameter around your head. Start about 2cm above your eyebrows. Keep the tape above your ears and around the back of your head at the largest point. V1mx has a size chart for each helmet, so you can easily select the right size helmet. Once you receive the kids motocross helmet you should check if the helmet fits properly. Below you will find a step-by-step guide to determine if the helmet fits. The chin closure should not limit you while talking, swallowing or opening your mouth. Feel whether the inner liner fits well around your head. The helmet must be in contact with your head everywhere, including the cheek pads. Check that you can no longer put a finger between the inner liner and your head. Check whether the helmet can move around your head. To do this, attach the chin strap and try to move the helmet up and down. Also try to rotate the motocross helmet. It should not come loose from your head and there should not be too much freedom of movement. Do you have a question about the motocross helmets for children? Feel free to contact our customer service. We are happy to help you with the purchase of a new helmet. Because of our large range of kids motocross gear, there is always a product that meets your requirements.